If a tooth has been broken or damaged by decay, your dentist will try to fix with a filling, crown or other dental treatment. But when there’s too much damage for the tooth to be repaired, the tooth may need to be extracted or removed. If a tooth has been broken or damaged by decay, your dentist will try to fix with a filling, crown or other dental treatment. But when there’s too much damage for the tooth to be repaired, the tooth may need to be extracted or removed. Extractions are performed for a wide variety of reasons, but most commonly to remove teeth which are not restorable. Sometimes wisdom teeth are impacted (stuck and unable to grow normally into the mouth) and may cause recurrent infections of the gum. In orthodontics if the teeth are crowded, sound teeth may be extracted to create space so the rest of the teeth can be straightened. Before a tooth is removed, you dentist will thoroughly review your medical and dental history and take the appropriate x-rays. Before removal, the area around your tooth will be anesthetized. Dentists use a local anaesthetic to numb the area of the mouth where the extraction will take place. Some teeth are more difficult to remove for several reasons, the tooth position, the shape of the tooth roots and the condition of the tooth. 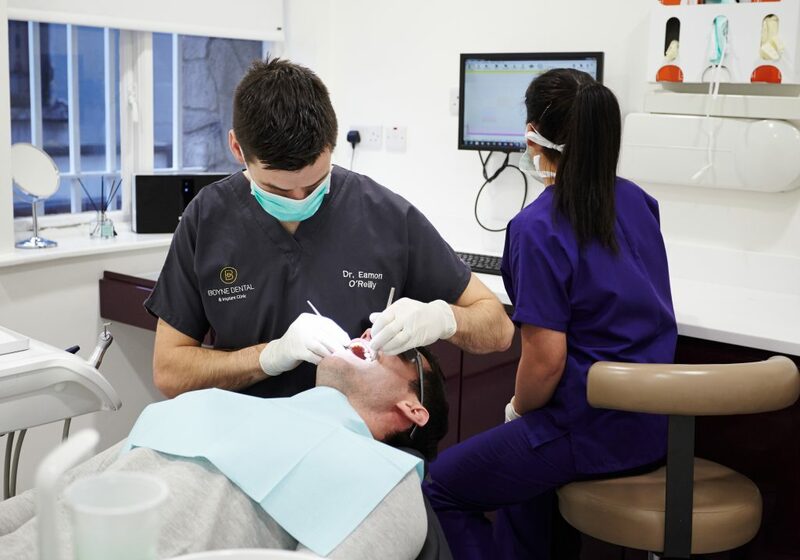 Simple Extractions are performed on teeth that are visible in the mouth, usually under local anaesthetic, and require only the use of instruments to elevate and grasps the visible portion of the tooth. Typically the tooth is lifted using an elevator and using dental forceps, rocked back and forth until the periodontal ligament has been sufficiently broken and the supporting alveolar bone has been adequately widened to make the tooth loose enough to remove. Typically , when teeth are removed with forceps, slow steady pressure is applied with controlled force. Surgical Extractions involve the removal of teeth that cannot be easily accessed, either because they have broken under the gum line or because they have not erupted fully. Surgical extractions almost always require an incision. In a surgical extraction, the doctor may elevate the soft tissue covering the tooth and bone, and may also remove some of the overlying and surrounding jawbone tissue with a drill or by osteotomy. Frequently, the tooth may be split into multiple pieces to facilitate its removal. Surgical extractions are usually performed under a general anaesthetic. Your doctor will give you detailed instructions on what to do and what to expect after surgery. It is normal to feel some pain after the anaesthesia wears off. For 24 hrs. having a tooth pulled, you should expect some swelling and residual bleeding. However, if either bleeding-pain is still severe more than four hours after your tooth is pulled, you should call your dentist. You should call your dentist if you experience any of the following. The healing period usually takes about one to two weeks. New bone and gum tissue will grow into the gap. Over time, however, having tooth (or teeth) missing can cause the remaining teeth to shift affecting your bite and making it difficult to chew. For that reason, your dentist may advice replacing the missing tooth (or teeth) with implant, fixed bridge or denture. Is it normal to be sore following an extraction? Yes. You should expect to be sore for 2/3 days following an extraction. The dentist will have given you instructions to follow after having an extraction which will help with the pain but may not eliminate it. Should i still be bleeding 24hours after an extraction? Yes this can happen however it is not normal to still have bleeding 48/60 hours after an extraction. Please call your dentist should this happen. Can i eat as normal following an extraction? No. You will need to be on a liquid/soft diet following an extraction. You can return to a normal diet after 2/3 days or when the area heals. Is it possible to fill the gap? Yes! Please see our implants page. I have a funny taste in my mouth following an extraction? This can be a sign of infection. Please call your dentist for advise as they may need to see you again and provide a prescription of antibiotics.